The Great Plains a limitless expanse of natural beauty and abundance when the Lewis and Clark expedition passed in 1804. Today you can enjoy all the scenic sights, history and fun in Nebraska, Iowa and Southeast South Dakota. 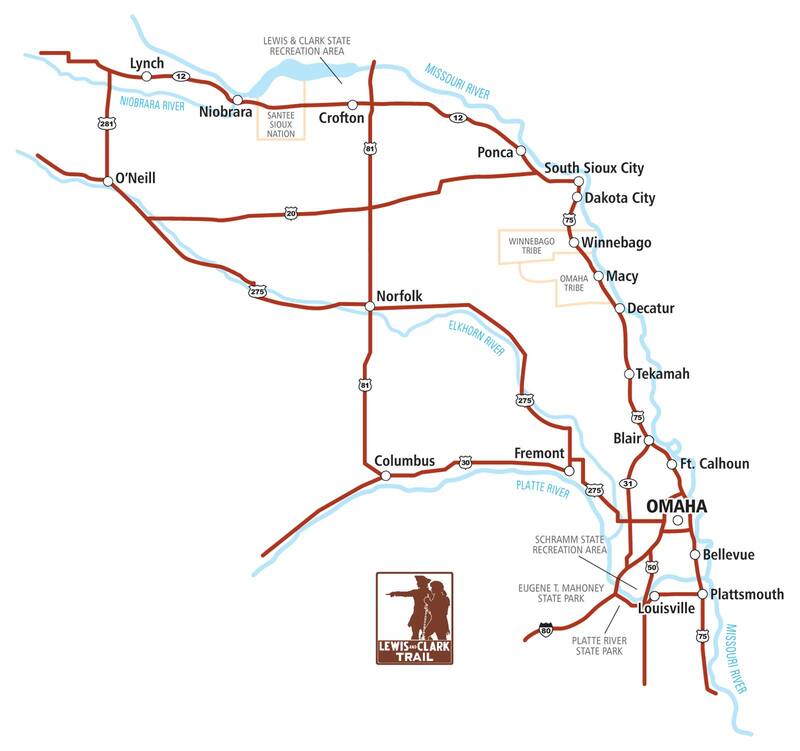 This self-guided auto tour includes Nebraska City and the Missouri River Basin Lewis and Clark Visitor Center and Lied Lodge and Conference Center, historic Brownville, Plattsmouth, Indian Cave State Park, Bellevue and Fontenelle Forest Nature Center, Platte River State Park, Eugene T. Mahoney State Park, Fort Calhoun and Fort Atkinson State Historic Park and Omaha with Joslyn Art Museum, Old Market and Omaha’s Henry Doorly Zoo. 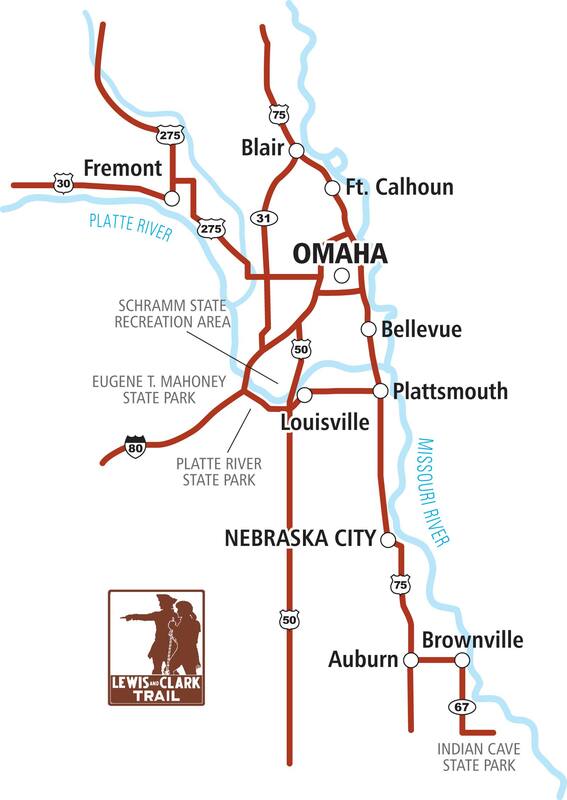 This self-guided auto tour includes Omaha and Lewis and Clark Landing and Riverfront Trail, the Old Market and Henry Doorly Zoo, Fort Calhoun and Fort Atkinson State Historic Park, Ponca State Park, Lewis and Clark Lake State Recreation Area, Niobrara State Park, Eugene T. Mahoney State Park, Platte River State Park and Bellevue with Fontenelle Forest Nature Area. 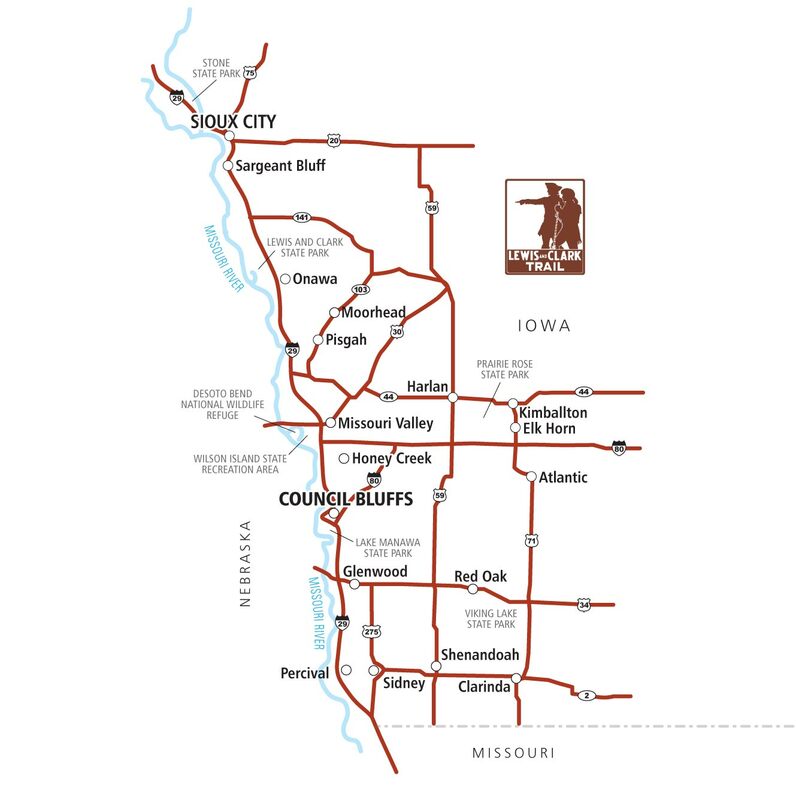 This self-guided auto tour includes Waubonsie State Park, Council Bluffs and Lake Manawa State Park, DeSoto Bend National Wildlife Refuge, Onawa and Lewis and Clark State Park, Sioux City with the Sergeant Floyd Monument, Stone State Park and the Dorothy Pecaut Nature Center and the Fourth Street Historic District. 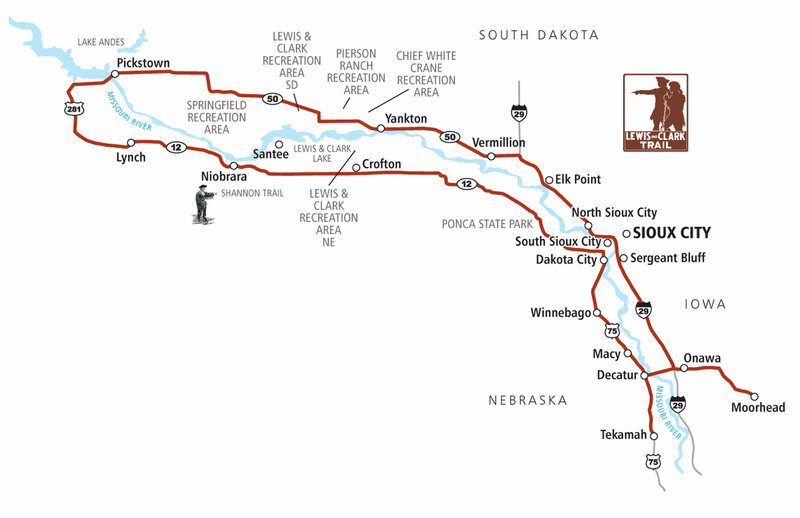 This self-guided auto tour includes Sioux City with the Sergeant Floyd Monument and Hard Rock Casino, Onawa and Lewis and Clark State Park, Ponca State Park, Lewis and Clark State Recreation Area, Niobrara State Park, Yankton SD with the Lewis and Clark Visitor Center and the Gavins Point Dam and Spillway, and Vermillion. 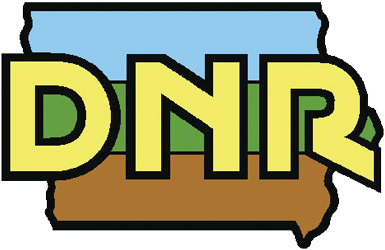 This program sponsored and funded in part by the National Park Service Lewis and Clark National Historic Trail, the Nebraska Game and Parks Commission, the Iowa Department of Natural Resources, the Sarpy County Visitors Committee, Cass County Tourism (VisitCassCounty.com), the Otoe County Visitors Committee, the Lewis and Clark Missouri River Basin Visitor Center and Visit Yankton.